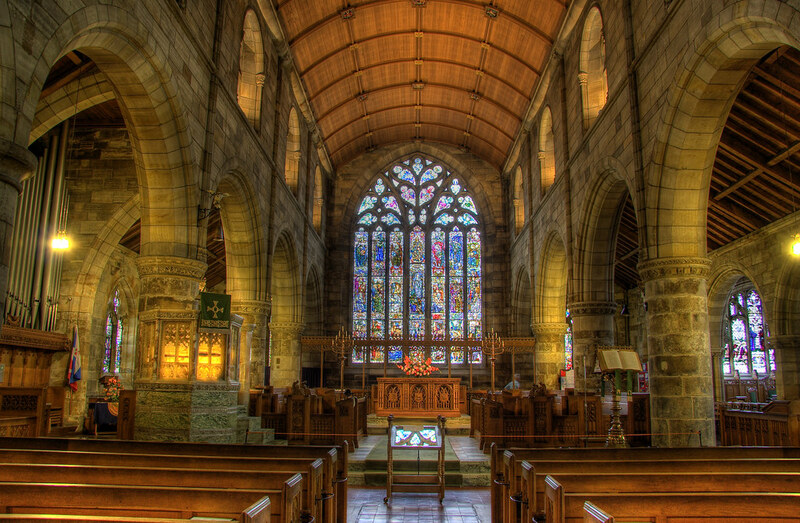 Holy Trinity is the ‘mother church’ of St. Andrews in the sense that it seems to have come into being about 1144 when the urban settlement here became a fully organised municipality or burgh and continued to be the only church with a general responsibility for the spiritual wellbeing of the town and its associated country district for a prolonged period thereafter. To this day, indeed, it remains the accepted setting for all occasions most deeply affecting the life of the community as a whole. The first mention of Holy Trinity is as a parish or priest’s district so called, but it can be assumed that the name was derived from a church of this dedication assigned to the Priory by the Bishop of St. Andrews in 1164. 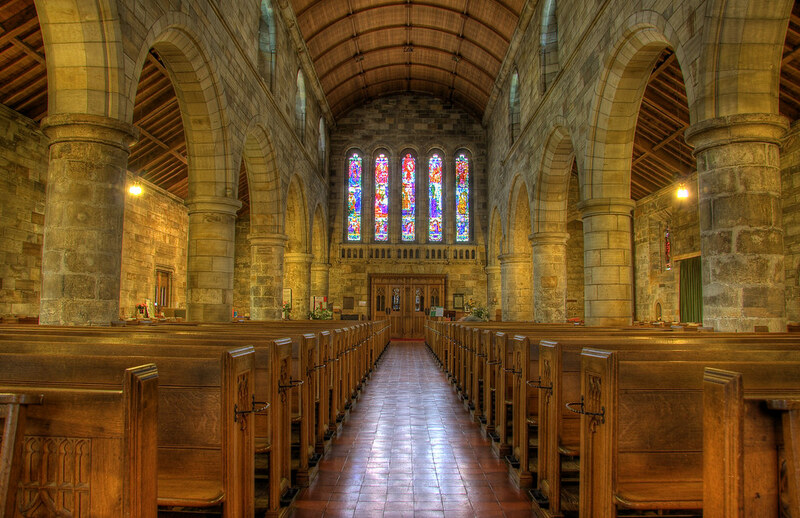 Under this arrangement – which applied to most of the parishes of what is usually called ‘the Medieval Scottish Church’ (from about 1100 to 1560) – the ‘cure of souls’ was delegated to a vicar or deputy of the nominal rector, drawing no more that a portion of the teinds ortithes (from the produce of each year) for his maintenance. 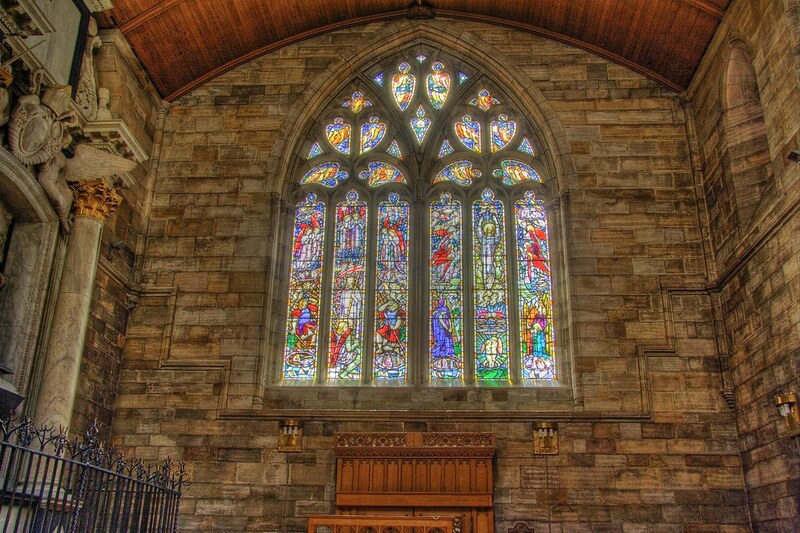 This entry was posted in Church, Scotland, St Andrews and tagged chapel, Church, fife, hdr, Medieval, Scotland, St Andrews. Bookmark the permalink. Love these, love the cathedral! Nice stuff. You’re Mother-in-law’s been tooting your horn so I came by to see the pictures. Very nice.